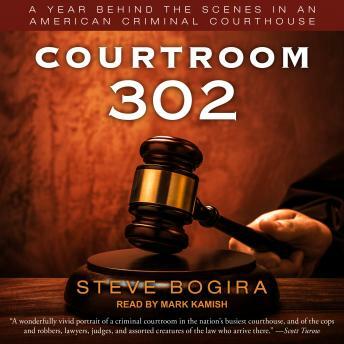 Courtroom 302 is the fascinating story of one year in Chicago's Cook County Criminal Courthouse, the busiest felony courthouse in the country. Here we see the system through the eyes of the men and women who experience it, not only in the courtroom but in the lockup, the jury room, the judge's chambers, the spectators' gallery. From the daily grind of the court to the highest-profile case of the year, Steve Bogira's masterful investigation raises fundamental issues of race, civil rights, and justice in America.